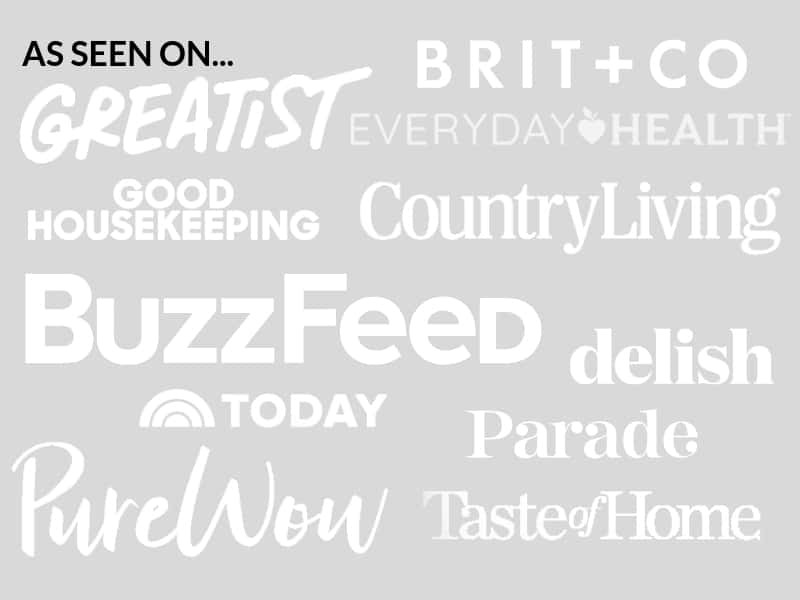 Here is a collection of my favorite products- essentials for the busy home cook, and everyday items for your home, entertaining, and lifestyle. Cook a whole chicken in 25 minutes. No joke! Use it as a pressure cooker or a slow cooker, make yogurt, soups, rice, and more. Affordable, sturdy, and won’t buckle under high heat. The best rimmed baking sheet, perfect for roasting perfectly browned veggies. Indestructible, inexpensive, stovetop and oven safe… a well seasoned cast iron skillet belongs in EVERY kitchen. Store food scraps discreetly on your countertop. Masks odors and looks great in any kitchen. Oven and freezer safe, making it PERFECT for those freezer-friendly make ahead meals. 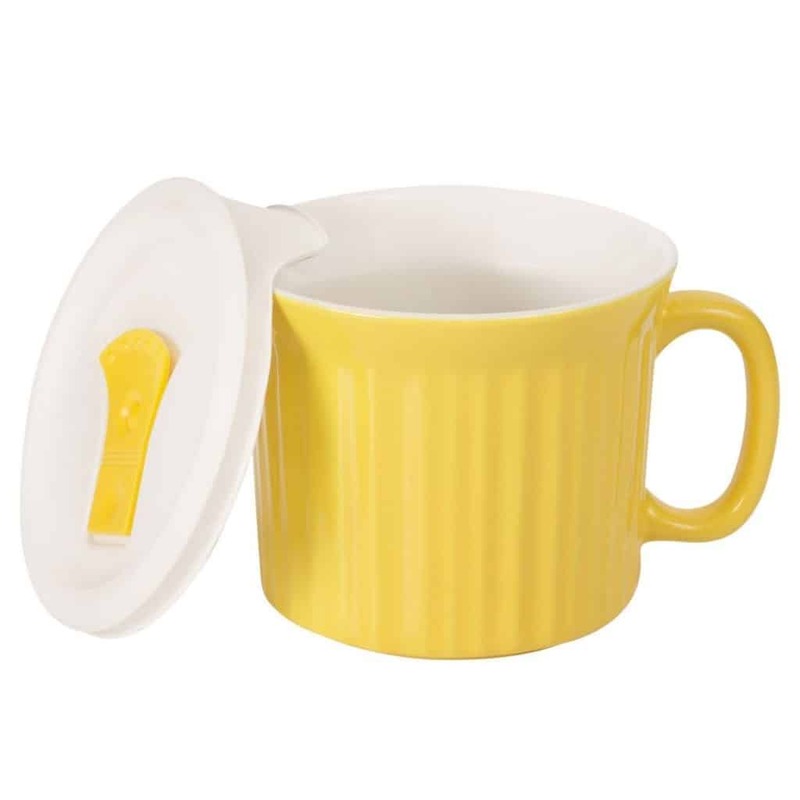 This 11-cup size holds about four servings and is about 8″ x 6″. Like a magic wand, stick it right in a pot of soup to make a velvety smooth texture without dragging out the big blender! Use it for mashed potatoes and individual smoothies, too. Save money (and the earth!) by shopping the bulk spices and filling up these glass spice jars with chalk labels. This is the camera I use to take photos for my blog. It’s a great, affordable DSLR that gets the job done well, and it comes with tons of accessories. I use this lens. A high quality but inexpensive knife set great for everyday cooking. We got our set as a wedding present. This nifty little leaf strips kale, chard, and collards of their stems, as well as herbs like thyme and rosemary. 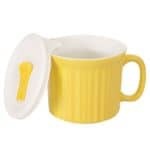 Virtually leak-proof with a vented lid, these mugs are perfect for taking lunch to work or school- reheat soups, casseroles, etc. with ease. The handle doesn’t get hot, either! My FAVORITE soap. 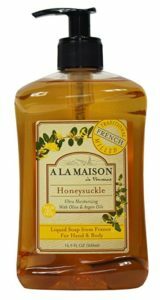 I always have one of these out in my kitchen and bathroom- the honeysuckle smell is intoxicating! 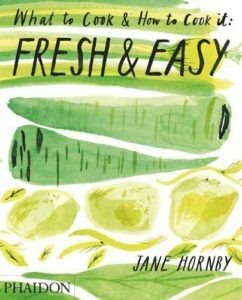 One of my favorite cookbooks filled with healthy, fresh recipes for a Mediterranean diet. From the blogger of 101 Cookbooks, these recipes are easy, delicious, and made with whole, natural ingredients. As expected, these recipes are fresh AND easy! With step by step and prep photos, the instructions are very easy to follow. The wire basket design of this sponge holder allows it to breathe and prevents odors. It suctions to the inside of your sink so it doesn’t take up counter space. I keep a magnetized notepad on my fridge to write down things I need at the store. When I run out of something, I add it to the list immediately so I don’t forget about it. Mrs. Meyer’s cleaning spray is wonderful for cleaning up after cooking! The rosemary scent is my favorite, but the lavender is pretty great too. I keep these right by my stove to easily season meats, veggies, and eggs. Freshly ground black pepper and Himalayan pink salt adds SO much flavor. 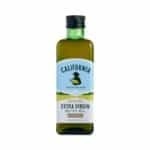 My favorite olive oil- it’s affordable, and you can find it at almost any grocery store. I have two of these and they’ve lasted for years. The recycled plastic is strong, so it holds up to sharp knives and is easy to wash.